Inogen has been a leader in the portable oxygen concentrator industry, producing one of the first portable oxygen concentrators in 2004. Since the original Inogen One concentrator, Inogen has improved their design twice and now offers both the Inogen One G2 and Inogen One G3. I will review these two POCs together. The Inogen One G2 and G3 are pulse only portable oxygen concentrators, using a minute volume delivery method. This means that they will provide a fixed amount of oxygen each minute regardless of your breathing rate. If you breathe faster, you get less oxygen per breath; if you breathe slower you get more oxygen per breath. The Inogen One G2 provides up to pulse setting 5, while the Inogen One G3 provides up to pulse setting 4. Both models come standard with the Inogen One G2 or G3 concentrator in an attractive carry bag, AC and DC adapters for home and car, one (1) rechargeable battery in your choice of size. The Inogen One G2 also comes standard with a wheeled cart. Inogen is the only company that offers two battery options – a small battery that keeps the weight down (7.5 pounds for the G2 and 5 pounds for the G3), or a large battery that lasts twice as long, but does increase the weight a bit (9 pounds for the G2 and 6.25 pounds for the G3). Most retailers will provide additional batteries at a discounted price when you add them to the purchase of your Inogen One. Optional accessories include an external battery charger and backpack. Both models are FAA approved for airline travel. Noisy purging sound on the G3 – Only the Inogen One G3 has this issue. The purging sound, which is the noise produced by the unit when it exhausts the non-oxygenated air, is rather loud. The unit purges about once every 15 seconds. Many people are not bothered a bit by the noise; others are quite distracted by it. The G3 is not a unit you would want to take to a quiet place like a fine dining restaurant or the theater. I have heard that Inogen is working on this issue, but do not know when it will be resolved. An unusual feature of the Inogen One G3 is that it has sieve columns that can be replaced by the patient. The sieve is the part of the concentrator where the oxygen is concentrated. In all POCs, the sieve will wear out and need to be replaced. All other POCs, including the Inogen One G2, cover the sieve under the standard warranty for the unit (usually 3 years); therefore, the manufacturer will cover the replacement of the sieve within the warranty period, but charge upwards of $400 for replacement once the unit is out of warranty. The Inogen One G3 sieve columns have only a one-year warranty, yet are expected to need replacing about every 24-30 months. Since this is out of the warranty period, yet prior to unit’s 3-year warranty, Inogen has designed them to be easily replaceable by the patient. The pair of columns is expected to be around $150 and would be available for purchase as an accessory item. At first I viewed this as a design flaw. Why would Inogen knowingly produce sieve columns that would not last as long as on other models? However, I now see the advantages. Knowing that the sieve of all POCs will need to be replaced shortly after the unit is out of warranty, the cost of replacing the sieve columns on the G3 is fairly low when you consider the cost to replace a sieve on other models. And since you can replace the sieve columns yourself, you do not have the hassle of having to send your unit off to the manufacturer for service. All-in-all, apart from a caution with regard to the purging sound of the G3, I would highly recommend both the Inogen One G2 and the Inogen One G3 for oxygen users who are looking for a small, lightweight unit that provides a pulse flow of oxygen. Two companies that sell the Inogen One G2 and Inogen One G3 are OxiMedical and POC Medical. Good afternoon my mother have COPD wich portable can use. Unfortunately, knowing that your mom has COPD does not help me make a recommendation to you. What is more important is the amount of oxygen her doctor has prescribed and her mobility needs. Good afternoon Allison, my friend was hijacked in South Africa and they stole her oxygen generator. She is suffering from lung and bone cancer. After appealing everywhere I managed to get her a Inogen one G2. But it needs a service. The distributors in SA called Oxygen informed her it needs to be sent to America and serviced. It will take 2-3 months and cost from $786 upwards to service it. She does not have this type of money, and is on oxygen 24/7. Are their any other service agents in South Africa or elsewhere that can assist? I’m sorry to hear about your friend’s difficult situation. Unfortunately, I do not have information about Inogen’s international repair centers. The price you were quoted sounds typical if the unit truly needs service. This article is incorrect in one aspect. Both the G2 and G3 are constantly calculating your breathing patterns, and giving you the correct amount of oxygen per breath. It changes when your breathing patterns change, in order to dose you with the correct amount of oxygen based on your prescribed liter/minute setting. Also, if Medicare/your insurance is paying for your Inogen equipment, the sieve bed replacement is fully covered. Yes, the Inogen adjusts to your breathing rate and provides a minute volume delivery. Therefore, as I stated above, you will received less oxygen PER BREATH when you breath faster and more oxygen PER BREATH when you breath slower, so that you are always receiving the same amount of oxygen per minute. Thus, I do not think my information is incorrect. However, please forward me your source if you still disagree with the information I have provided. Thank you for the information about the sieve column. That is helpful for those who have insurance or Medicare coverage. I can not quite understand how or why you would get less O2 when you breath faster, wouldn’t that be when you need more… not when you are breathing normal… if I am having a problem breathing and am breathing faster I need more oxygen.. not less. I agree, that is generally when you would need more oxygen. However, the small units have limited capacity and are unable to provide a uniform amount of oxygen when the breath rate increases. The minute volume delivery system is something not widely known and people often are unable to use a small unit for this reason. Of course, the unit can be set to a higher flow setting if more oxygen is needed. That would require that you have a unit with a higher flow capacity than your resting needs. For instance, if you usually use setting 2, the Inogen One G3 could be increased to setting 4 when you become short of breath and would provide more oxygen. But if you usually use setting 4, then you would have nowhere to go with the settings. In this case, a larger unit, such as the Inogen One G2, which goes up to setting 6, would be best. Newer Inogen One G2 units do indeed go up to pulse setting 6. If your unit goes only up to 5, then it is an older unit. The first 2 digits of the serial number indicate the year it was manufactured. If I purchase an Inogen One G2 and I get a life time warranty. what will it cost me to replace the Sieve columns once they need replaced. and are those also filters… What are the filter prices.. I am considering purchasing one with in the next week. right now I have the 2 hr tanks set at 2.5 when resting and 3 when up and around some times more…. … I do believe that would be a One G2. I am on Oxygen 24 hrs a day.. I have a concentrator at home… My O2 stats without O2 if moving around get down on the HIgh 60’s it is not fun… Please respond and let me know … thank you . The sieve columns have a 3-year warranty. I am not sure if companies extend the sieve warranty along with the unit warranty. You can check with Inogen to verify what the warranty would be. The particle filters can be found on the internet for about $25 for the pair. For the G2 unit, the sieve beds are covered for the lifetime of the patient when they purchase a lifetime warranty (through the manufacturer directly). With the G3, they are $99 a pair, and are covered for the first year. They generally last 12-18 months before needing to be replaced. Note: the G3 is now upgraded to provide a 5th setting, and operates at a lower volume setting (39dBA vs. 42dBA). This warranty info is from the manufacturer directly. I have an Inogeneone, G2 in great condition for sale….it has 3 batteries total, one double and 2 single. I am reasonable and will take best offer…or first reasonable offer. I am located in Pasadena Maryland. Debbie (443-710-1580 ot [email protected]. Medicare issued me an Inogen clone called “OXY GO”. Seems identical to G3. Only the small battery was included. The OxyGo is a private-label unit made by Inogen. I see no reason why the Inogen battery would not work, but I recommend you contact Inogen to be sure or purchase from a company that accepts returns just in case there is an issue. How would I adjust the humidification attachment on my non-portable, so to get the right amount of humdity in my oxygen mix? Unfortunately, I do not think there is any way to adjust the humidification of oxygen. There are already units that are smaller than the SimplyGo: Inogen One G3, AirSep FreeStyle, and LifeChoice Activox. However, all of these are pulse only. SeQual is coming out with a 12-pound continuous flow unit next year, but I haven’t heard any rumblings about a continuous flow unit that is smaller than the SimplyGo. I am fairly new as an oxygen user but here is what I have learned so far. Number one, my medicare complete would NOT pay towards my concentrator at all! But without the oxygen assistance, I would be kept from my activities. I show dogs. I discovered how needy I was at higher altitude when I spent a weekend in Flagstaff at dog shows. I had an ugly time and went to my wonderful pulmonologist when I got back to the valley. After a series of tests, he wrote orders for a concentrator for me. His office recomended the Inogen One G3. I started reading everything I could find and it looked good. I am a 70 yo woman weighing about 120 or less, so size and weight were very important and because I handle large dogs, I needed something flexible. Thank you, Judi, for your candid assessment of the Inogen One. The experience an oxygen user has with a particular model will depend greatly on their oxygen needs, financial abilities, and personal expectations. And the support you get from your dealer goes a long way, too! I’m glad you found a company that has been so helpful. Kudos to OxiMedical! When companies list their battery life on any product, they always list the maximum battery life on limited use. The four hour time on the battery would more than likely refer to use at setting 1. As you increase the settings the time would decrease. This is not misleading by Inogen. They are just telling you what is the “possible maximum battery use”. Consumers just need to be more aware. That is what I am worried about. I do not want to get down the road and the battery go out and I am stuck with no O2. Will the battery charge off the car lighter and can it still be used at the time it is charging..? Yes, the DC adapter for the car will power the unit and charge the battery. If you have a new double battery that is lasting only 4 hours on setting 2 then I believe it is faulty. If would request a warranty replacement from your dealer. i’ve been reading all the information I can get my hands on – even medical journals!! not that I understand much of that, but nevertheless quite interesting…. Unfortunately, there are not any POCs on the market that will provide 5 LPM continuous flow. The most a POC will produce on continuous flow is 3 LPM. Great blog and helpful. I have had the Inogen one G3 for around 3 months. Bought in the USA and shipped to Shenzhen China were I live. Have you heard of this problem before, and if so is it something I can do myself. ? I started looking for a POC on 10/3/13. I finally got in contact with OxiMedical.com about 3 weeks after that. Today I got my POC. I love it. I think it is quiet, and it is smaller than I thought it was going to be. Walked around the apartment and showed my next door neighbor. I’m tickled with it. They gave me an oximeter with a lanyard as well to go with the Inogen One G3. The G3 is lighter and smaller than I pictured it would be. I can’t wait to get started on using it when I’m running around doing what needs to be done. I have not noticed a loud vibrating noise with the Inogen One G3. However, it does make a rather loud purging sound when it exhausts the non-oxygen gases. It does this every 15 seconds. I just started using the Inigen G3 and too find that it vibrates loudly. Thought it was just me. It tolerable to me though. I just purchased an Inogen One G 3. and the noise level is loud. I can’t see myself sitting in church around others. Can the sound be lowered? Unfortunately, there is no way to lower the sound. Hi, I am writing for my 87 yr old father that is trying to determine what kind of oxygen to get. He is debating between a concentrator such as the Inogen one and portable oxygen in the canister. He has COPD, and unfortunately, he does not have a specific perscription from his doctor. His doctor is open to him using either type of machine. My father seems to like the idea of the inogen but is worried about the quality of the product. He is rather mobile and probably would rather have something lighter over something less noisy (but I’ll be sure to mention the noise issue with the G3 just in case). Do you think the Inogen would be a good option for him? As long as his oxygen needs do not exceed Setting 4 pulse then the Inogen One G3 would be a good option. The advantage of a portable concentrator over cylinders is they do not run out of oxygen. You do have to keep an eye on the battery level, but the Inogen can also be powered via AC power or DC power in the car. If he ever intends to fly, then a portable concentrator is a must. As for reliability, Inogen makes a good product, but I have found the Inogen One G2 to be more reliable than the G3. I currently have a Invcare Xpo2. It is about 2 years old and in repair. Apparently I dropped it and caused some internal problem. Since it is under warranty they are repairing it for under $25.00. But I am so interested in the Inogen G3. On XPO2 I use pulse level 3 with good results. A full charge doesn’t last more than an hour and 1/2, so I turn it down to level 2 when I am sitting. Is the noise level of the G3 comparable to the level of the XPO2? Also, on 8 cell battery life at 3, I’ve been told it would last 3 hours, on a 16 cell, weight would be 5.8 lbs, #3 would last 6 hours. Could this be true?? I just received an Inogen One G3 POC that I had done serious research on. Yes, it does make a loud purging click every 15 seconds, but at 5.8 pounds and its small size, that can be over looked very easily for me. I have owned and/or rented two other brands of POC in the past. I own and still have a Respreonics Ever Go that was my first POC. Unfortunately it is pulse mode only and I had trouble sleep with it. I then was supplied with a Devibliss iGo by the Insurance company. Love this machine, but it was very heavy (25 pounds with two batteries and cart) to travel by airplane and automobile. But in my Motor Home I could use the iGO 24/7 as it is pulse and continues flow. I made a 11,000 mile road trip last year with it in tow. I used the iGO as my main POC, with Ox2 bottle’s as backup. Now with the new G3 I hope to be able to use it for all portable and stationary conditions and also I can sleep with it just fine so far. There are some very interesting conditions that all POC are limited by, temperature’s below 41 degrees is there limit for long durations. Here in Alaska that does pose a problem for long stays outside in the winter when I am taking photograph’s of the Northern Lights. To get around this problem I have kept the small portable/luggable bottles of Ox2 to use for outside when the temps are below 41 degrees. I really appreciate the small size and light weight of the G3. I will keep you posted of my experiences with the G3. Thank you for sharing your experience with the Inogen One G3. I need some advice. I purchased an SeQual Eclipse model 1000 3 years ago along with 4 extra batteries. This is my backup oxygen for travel and overnight stays away from home. I use it at 1Lpm in pulse mode. Recently it began alarming and both indicator lights came on. The dealer I purchased it from tells me it is the sieve needs to be replace. The cost of the repair will be somewhere around $1000 and only has a 90 day guarantee. So basically repair doesn’t make sense. I am thinking of just replacing the unit with a Inogen G3 because of the size but I am concerned about the purging noise. Is there a way to mitigate the noise when I’m in a quiet place? Could I put my jacket over it or something like that or am I being overly concerned about the noise. My big question is this. Is there a market for used batteries? I have 5 perfectly good batteries for the SeQual and while I have no problem returning it to the dealer for disposal, I hate to see the batteries just be wasted. As I understand it the batteries are compatible with a couple of the later SeQual Eclipse models. Is this true and if so how do I go about making them available to someone who can use them? The purging noise of the Inogen One G3 is distracting to some and hardly noticeable to others. Some people feel very self-conscious in quiet environments, while some have found that others may take notice at first of the noise but are quite forgiving once they realize it is providing life-giving oxygen. I don’t think you can muffle the noise very much. You can cover part of the unit, but you have to be careful to keep the air intake and outflow areas well-ventilated. If you would like to try the Inogen One G2, be sure to make a purchase from a company that give you a 7-10 day trial and lets you exchange it for another model. If you find the noise of the G3 bothersome, you will be pleasantly surprised at the quietness of the Inogen One G2. It is a bit larger, but still much smaller than the SeQual Eclipse you have been using. As for your batteries, you can sell them on eBay, or perhaps the dealer you choose for your Inogen purchase may be able to offer a small credit for them. Of course, they’ll want to test them first to see how well they perform. I have the Inogen G3 and I use it mainly for traveling, I was concerned on the sieve you were speaking of. Does it need replacing every year with continuous use or just every year? According to Inogen, the sieve beds (metal columns) have an expected life of 1 year. Actual life will depend on frequency of using the unit and the humidity of the air in which the unit is used. The unit will display a message that says “O2 Service Soon” when the sieve columns need to be replaced. These should be replaced within 30 days of the alarm. I recently spoke to somone at inogen (forget his name) and I thought he said it was possible to get a free 30 day trial of the G3. Did I hear (or remember) correctly? If so, which dealers would provide that free trial? I’ve used the Inogen G3 for over a year now and I love it for it’s size and weight… I don’t have the strength to haul tanks and I HATED the constant calls and having to sit around all day waiting for Oxygen tank delivery. I’m not ready to give up on live and wait on some company that wants to charge me for air. I did alot of research on the Inogen G3, the batteries last a long time and when I’m in a vehicle I can run with the adapter for the cigarette lighter or if I’m in a Hotel or visiting… can just plug it into an AC source. I will get a beeping error that used to scare me saying I need servicing but in reality I had pinched the hose and all I needed to do was to make sure the hose was okay and turn the machine off and on… AOK. I don’t hear so well and all this noise I read about isn’t an issue… I do have a large floor concentrator at home and it is ten times as noisy as the G3. If you can afford the G3, I would recommend it. Thank you for sharing your personal experience with the Inogen One G3. I just purchased the Inogen G2 Independence Freedom directly from Inogen, and thanks the terrific customer service by the sales rep that I’m dealing with, I will probably be a long-time loyal customer. but right now I have a few issues. I prefer the pulse method of delivery, as it does allow the battery to last longer. I actually tested the G2 on both A/C current and battery current. The problem I encountered was that the G2 quit delivery any detectable pulse of air after about 3 hours of continuous use, using both just the battery, and then just the A/C plugged into to house outlet (with battery still in place for re-charging). I noticed that the G2 was making some very quiet popping noises, seemingly coming from inside the concentrator. I also noticed that while the green light continued to light upon intake of breath, the amount of oxygen with each breath diminished substantially over time, and since I was feeling dizzy and getting blurred vision, I checked my oxygen with an oximeter, and it registered only 88%, with a lot of variation up to 92% after several deep breaths of just room air. At the time this was happening, there were NO warnings or errors being displayed on the user window. It only ever showed Battery % full when on the A/C, or Battery hours and minutes left when running strictly on the battery. My sales rep transferred me over to technical services, and also wrote up a service report. After over 25 minutes on hold, the tech that finally answered was abrupt, and verged on rudeness. Regarding the purge noise cited for the Inogen One G3 model how does it compare in “loudness” compared to a Respironics EverFlo model? How does the loudness sound compared to an Inogen G2 model and the Respironics EverFlo model? The purge is about the same as the Respironics EverFlo, but louder when compared to the EverFlo Q model. The Inogen One G2 is very quiet, so the purge is much louder. I’m new to home oxygen, and appreciate this review. What is the difference between pulse and continuous delivery? My home concentrator and O2 tank valve are set at 4. How does this compare with the numbers on the G2 and G3? Your home unit is a continuous flow machine, meaning the unit is always sending out oxygen even if you step away and are not using it. With a pulse flow delivery, you get a puff of oxygen every time you inhale. If your oxygen tank has a regulator on it, then it is providing a continuous flow just like your home unit. If it has a conserver on it, then it is providing a pulse flow delivery. The G3 has a maximum pulse flow of 4, so you would be using the highest level it provides. Therefore, I would recommend the Inogen One G2, which provides up to pulse setting 6. I’ve had the Inogen One G3 for about nine months now and I love it. I’m at 2L/M, so it last about 3+ hours. It’s so much better then those Oxygen tanks I had to lug around. We went on a trip to the Outer Banks in NC last year and only took the small unit with us. It was great all I had to do was plug it into the cars receptacle and I could go for hours. When we stopped to eat or use the restroom, I’d just unplug it and go in to the service area, then when I got back into the car I just plug it in again. We only needed the G3 cause I could use the batteries, AC plug or in the car DC plug. (I Looove it.) I’m so glad the sales rep. explained everything to me and the service is great when I call and have a question or need products. Keep up the good work. Thank you for sharing your personal review of the Inogen One G3. How does the noise level of the Inogen one g3 compare to Resperonics SimplyGo? The motor hum of the SimplyGo is a little louder than the Inogen One G3; however, the G3 has a louder purging sound that is noticeable because it is not steady, but rather, makes a sound every 15 seconds. if i am using 2lpm at home what pulse setting would i use? Most people use the same pulse setting as their continuous setting. Sometimes an increased setting is necessary. A fingertip pulse oximeter is necessary to determine your blood oxygen level. You would need to use whatever pulse flow setting keeps your blood oxygen at a level recommended by your doctor. Your doctor is the one who would need to advise you on the flow setting since oxygen is prescribed by a doctor. Being in only my 30’s and living with quite a disabling lung disease, I have lived with and enjoyed the benefits and freedom of portable concentrators for the past 6 years. My current xpo2, although I have found it to provide me with freedom to get outside my house, the battery life and connector is horrendous (loses charge very quickly and battery connector repaired 3 times within 18 months). When you are dependent on oxygen, running out of charge unexpectedly due to battery failure is not only not acceptable but life threatening. I am looking to replace this machine with something more reliable, and like many other readers have investigated the Inogen one G3 which appears to fit the bill well. A few questions- (1) is the 3 yr warranty an international warranty (I live in Australia, but a friend travels to the usa regularly and can purchase the same machine for almost half the price) (2) can the car charger recharge the battery when plugged into the unit, or only run the machine (3) does the machine have a tendency to become hot and overheat (I have used a freestyle and had overheating issues) (4) how would you compare the Inogen one g3 to the Activox in terms of quality, noise, common faults and breath sensitivity (I use 2-3 lpm pulsed for my POC, and 3litres continuous for my home concentrator). I have very poor lung function and my breaths are quite shallow. Thankyou for a very informative thread. In response to your questions: (1) I am not certain about the warranty, but I think the unit would have to be returned to the U.S. for repair if it is purchases in the U.S. (You can contact Inogen directly about this question – http://www.inogenone.com). (2) Yes, the DC adapter will recharge the battery in an automobile while running the machine. (3) I am not aware of overheating issue with the Inogen One G3. (4) The Inogen is noisier than the Activox due to the purging sound. With regard to quality and sensitivity, I would lean toward the Inogen. I am thinking of throwing my respronics out of the door and getting a inogen one C3 I have issues with my back as well as breathing problems. The one I have now makes me feel like a prisoner I do not want to go any where with it. It is heavy to take in and out of the car, I have to lift it into shopping carts to shop. and then my breathing is raised and the battery does not last long enough to go shopping.. Can anyone tell me how long does it really go on the batteries? The Inogen One G3 would be about half the weight of your Respironics unit. The battery time depends on the flow setting. Using the 8-cell battery at setting 2, it would last about 3 1/2 to 4 hours. Using the 16-cell battery at setting 2, it would last 7 1/2 to 8 hours. About 4 months ago I received an Inogen G2 and love the fact that I have more freedom to do things. I do have one problem and was wondering if anyone else has the problem. When I am driving in my car and going up hills my unit does not disperse oxygen. As soon as I get on flat ground it starts working again. I have tried rebooting the unit, running on the battery only, and many other ways to see what is making that happen. Does anyone else have that problem? The unit has been replaced 4 times and today the 5th unit is to be delivered. The customer service at Inogen is fantastic. Everyone is very helpful. I love the convenience of the system. My setting is at 5 so thought that was the problem but customer service says “no”. Being at 5 the batteries do not last long so I always have to carry an extra battery with me when I shop. I am wondering if there is something that I am doing wrong but I do know that I am not breathing through my mouth when this happens. True. I have written about this issue and you and others may find the information useful. I have an inogen g3 that has started making a loud vibrating noise…any idea what could be causing this? It is most likely an issue with the motor. I recommend you contact Inogen or your provider for repair. I had a similar problem, the mounts for the compressor were damaged.. I received my Inogen equipment two days ago, put it together the next day, used it for the first time yesterday, went out using the portable unit, I did not feel loaded down, it was as if I had left something cumbersome behind. Inogen has replaced the system I had/have, have not yet returned it. For my sake I hope that I am not jumping the gun on my review. There are so many great thing about this system, can’t believe that I am so enthusiastic. The indoor unit is smaller, it is quiet, cannot even hear it. The cannula is superior to the one I was using, it is thicker, that is important, the two ‘things’ that I stick in my nose, they are thicker and soft, they will not put ‘nicks’ inside my nose, meaning that they will get dry as fast as the ones I was using, meaning that they will not harden as fast and narrow so quickly. Talk about an upgrade, example, went from Window 98 to 8.1, a huge difference. A big expected surprise, a oximeter, think that is the name of the unit that can tell you quickly what you oxygen and heart rate are, what a great thing to have, brand name, fingertip. I have been on oxygen since 2001, have emphysema and COPD, had LVRS. Do you have any information on the Phillips GoLox system? The GoLox system is a liquid oxygen system and, unfortunately, I have limited knowledge about liquid systems. I sorry that I am unable to assist you. Some people are able to use an Inogen during sleep; however, regardless of its technology, it is a pulse flow only unit, meaning you must inhale through your nose to receive oxygen. Inogen units will NOT work with a CPAP because you cannot trigger the pulse by inhalation with the CPAP machine between you and the Inogen. A CPAP machine requires a continuous flow of oxygen. If you need only 2 LPM continuous, you may want to consider the Respironics SimplyGo, which provides up to 2 LPM continuous and pulse settings up to 6. The Inogen One G2 12-cell battery would last about 2 hours at the highest setting and the 24-cell battery would last about 4 hours at the highest setting. I have been using a G2 for 3 years now without any issues at all. However after a recent conversation with Inogen representatives (after I finally got to talk to someone) I must say I will never ever buy their product again. If you need service on the unit after warranty you must send it to them, and for a mere $495.00 they will fix only the error that is occurring at the time. Oh and you have to pay for the shipping both ways!! Now if you would like to have them do a little more like fix the error, give the machine a check up and get a 1 year warranty addition, you can get this for a mere $950.00! But Wait! If you would like to pay them $1900.00 they will kind of overhaul your machine and give you a 3 year additional warranty. Boy this sounds like such a good deal!!! What a crock Inogen, why don’t you make your machine serviceable like all the other POC manufacturers do. Oh, I know why! Because you want to take advantage of people who are on oxygen and probably on some fixed income and insurance! You ought to be ashamed of yourselves!!!!! *disclaimer I do work for Inogen but you are welcome to fact check me*: First, I’m sorry you’re frustrated with the cost of repairs, unanticipated charges are always frustrating. Please note that Inogen does offer a lifetime (for the purchaser’s lifetime) warranty on both the G2 and G3 units, it costs 1000.00 more but as you point out, post warranty repairs are more costly in the long run. Secondly, if you are using insurance (including Medicare) benefits to get either device none of these charges would apply to you, you will always get a replacement device because you are in a “rental” type agreement. The warranty limitations are only on actual purchases, not insurance or Medicare coverage. Thirdly, the industry Reasonable Useful Lifetime (RUL) of any durable medical equiptment (DME) is 5 years (incidentally Medicare also defines RUL as 5 years on DME). With a lifetime warranty you don’t have to deal with the concerns of outliving your unit. I read these blogs because I want to understand the concerns of supplemental oxygen users, NOT to defend my company or any other. I appreciate the insights of actual users and will always strive to make your lives easier, no matter if Inogen has the right products for you or not. Have you heard other complaints of getting an error message “4b” on the G3? I’ve had my unit a little over a year, and this is the second time I’ve gotten this message. The unit shuts down immediately. I bought mine through Oxymedical, which has great customer service, and they told me this is a software problem. They replaced the unit, so this is the second unit to quit with this message. Unfortunately, since I am flying today I cannot get a replacement. This is a major problem–I don’t bring a backup O2 source when I fly! (Fortunately I’m heading home where I do have another O2 source.) I hope Inogen has fixed this bug. I have heard of Error Message 4B, although it does not seem to be a widespread issue. Error 4B is indeed a software issue, but unfortunately, Inogen does not provide any more detail than that. When the unit is serviced, it is given a software upgrade and a full diagnostic check is performed (other repairs are completed as needed). Hopefully, the software upgrade will fix the problem and I think it is very rare to have a 4B error twice on the same unit. We are situated in South Africa. If we get this Error 4(b) Service required message, what do we do? Does the the oxygen concentrator need to be sent back to the manufacturer or is there a way to sort it out ourselves? That error code is an “over-pressure error” and the unit would have to be sent in for service. You could try contacting Inogen directly to see if there is anything you can do on your own, but unfortunately, I think only they can fix the issue. I bought an Inogen g2 that goes up to 6 lpm. Yes, they have a 30 day trial and can return which I intend. It doesn’t put out near enough Oxygen, even at 6 lpm to let me be active. I have been using tanks with a POC and 4 lpm usually is plenty. The sales rep is great but when trying to find out if there is a problem with the unit or if it just won’t work for me it is not pleasant. So far I haven’t been able to talk to a tech person and the “respiratory therapist” the sales person got to take my call told me she couldn’t talk to me because I was a cash patient, not insurance. The small amount of Oxygen these units put out surprises me. I don’t think I am an extreme needs patient and other than flying or high altitude driving I think it is useless. I can get a smaller lighter unit that puts out 2 lpm for flying for a lot less money but what do I do when I get off the plane and need 4 to 6? (pulse) The Inogen claims 6 but doesn’t deliver as far as I can tell. Thank you for providing your personal experience with Inogen and their products. Other readers may find it helpful to read the specific concern you expressed about the Inogen in another post, as well as my reply. This is a direct link to the comment and reply. I am disappointed with battery performance. I have an inogen 3. At the time of purchase I also bought 2 8hour batteries and one 3 hour battery. I find the 8 hour battery only lasts less than 6 hours and the 3 hour battery barely makes it to 3. At the time of purchase and in materials I read about the machine, this performance level was not disclosed. In the interest of good customer relations, I would strongly suggest more accurate disclosure. The machine works well, but I give a big F for battery performance. Inogen advertises the 8 hour battery time when used on setting 2. Since you are only getting 6 hours, I would expect that you are using setting 3 or higher. Is this the case? Also POC batteries will have shorter run times on higher flow settings. My experience with this unit is less than good. I have had it for less than 2 years and it is now going back for the third time for Low O2. This is now the 3rd time in less than a year. I am told it is due to the humidity in Florida. There is also no apparent way to contact Inogen directly. Have to work through the company that sold it, who simply writes up anther RMA to return to Inogen for which I pay the shipping and then I also have to rent a unit is mine is in the repair cycle. Thank you for providing your experience. Are you referring to the Inogen One G2 or G3? (I think it would be helpful for my readers to know.) Based on the issues you are having, I am guessing it is the G3, which eliminated the sieve cooling fan and allows for increased issues in high humidity environments. As for getting repairs, your experience is common, which is why I recommend choosing a dealer that offers a free loaner. You will still have to pay for shipping, but at least you don’t have to pay for a rental unit. Wondering WHY high humidity causes reading of Low 02? I am still deciding which POC to buy but am leaning toward the G3; lighter POCs are too restricted (e.g., Focus, 2LPM only). I live in HI and seldom go out on my own at over 80% humidity but in FL (where we’re moving in 18 months or so) and I won’t have so much choice about going out. This seems a bit odd, though, since it gets extremely humid in the Midwest as well, so why is FL apparently a problem?? The battery life makes the G3 seem like the only “battery” POC viable for me. The molecular sieve material in sieve columns absorbs moisture. Knowing that, the Inogen One G2 has a special feature where the compressed air passes through a drying tower. In order make the Inogen One G3 the size that it is, Inogen removed the drying system. Thus, the humid air is absorbed by the molecular sieve material and does not last as long. This is the reason the sieve columns are warrantied for only 1 year for the G3 as opposed to 3 years for the G2. The unit will still work and provide oxygen, but you will have to replace the sieve columns more often than if you were in a dryer climate. The Inogen One G3 is a pulse only unit that provides up to setting 4. It is NOT suitable for a prescription for 5 LPM. If pulse flow can be used, the Inogen One G2 may be suitable; however, a larger, more powerful unit, such as the SeQual eQuinox or Eclipse 5, may be the most beneficial. I am researching these units for an uncle with COPD. He’s very interested in portable units. I was attracted to inogen after seeing a television advertisement for 30 day “risk free” trial. I’m as fair minded as any, and willing to balance any/all aspects of a company. Upon reading here that a customer could discover no way to “contact inogen directly” a primal alarm went off for me. Fifteen years into shopping via internet, any company that places such firewalls between itself and it’s end users is an instant non-starter for me. I’ve only recently seen this from suspicious websites of less than one month’s provenance or “wild west” Chinese vendors that offer extraordinary prices with accompanying high risk to the consumer. Inogen? No way. If it smells like a rat……. Inogen is by no means a new company, nor is it like a high-risk Chinese vendor. The previous commentor who said he was unable to contact Inogen directly was referring to needed repair work. Inogen has a phone number boldly displayed on their website; however, they require that service be arranged through the dealer from which the unit was purchased. All oxygen concentrator manufacturers have the same policy. You can liken it to automakers; if you have a problem with your car, you don’t call GM or Ford directly–you take the car to the dealer for repair. My husband has had a total laryngectomy and breathes through a stoma in his neck. He requires between 1 to 1.5 lpm continuous flow. We did use a Inogen POC for a 3 week trip to Phoenix Arizona. Don’t remember which one as it was provided by his oxygen provider. It had a maximum pulse flow of 5 which seemed to work for him even while sleeping. We enjoyed the freedom of a POC but are concerned about the pulse flow versus the continuous flow. I have been told by two providers that their POCs are not FDA approved for “neck breathers”. Do you know if there are any of them that are approved? Also, do you know if there are continuous flow POC’s that we might consider for use in traveling? 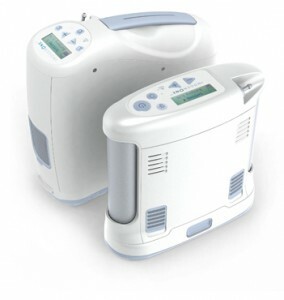 The official FDA-approved Indications for Use for the Inogen One concentrator is as follows: The Inogen One Oxygen Concentrator is used on a prescriptive basis by patients requiring supplemental oxygen. It supplies a high concentration of oxygen and is used with a nasal cannula to channel oxygen from the concentrator to the patient. The Inogen One Oxygen Concentrator may be used in a home, institution, vehicles and various mobile environments. Alternate units that provide continuous flow options would be the Respironics SimplyGo and the SeQual Eclipse or SeQual eQuinox. These units appear to have no restrictions for nasal cannula. For instance, the SimplyGo Indications for Use states: The Respironics SimnplyGo Portable Oxygen Concentrator is for prescription use by patients requiring high concentrations of oxygen on a supplemental basis. It is small, portable and is capable of continuous use in the home, institutional, and travel /mobile environments. The Inogen G3 will automatically use the AC or DC power when they are being used, and will automatically use the battery when no other power source is available. The error you received may have nothing to do with the power being used. I recommend you contact the manufacturer directly at http://www.inogenone.com. Yes, unfortunately, it does. I have not heard that Inogen is going to make any effort to reduce this noise. Can the G3 be placed inside of a tote when traveling or or does it need to be fully exposed to function properly? Also, what is the maximum length of tubing fot the G3? All air vents must be exposed or the unit will not function properly. A mesh tote would be fine, but a heavy fabric would not work. You may use a cannula up to 25 feet. I’ve got a G3 that I’d like to service myself because it was given to me by a gentleman whose wife passed away. I went to service it only to find it had screws holding in the canisters and a filter were quite exotic, and I had no screwdriver that matched them. We exist on Social Security and, Medicare will not cover the cost of repair to the unit. Who would I contact purchase the canisters filters and tools. Can you assist me in this matter. Looking forward to your response. The canisters you are referring to are called sieve columns. These only need to be replaced when the unit alarms “O2 Service Soon” and can be purchased from any authorized Inogen dealer. The star-shaped screws give access to the lifetime compressor filter. This filter is not meant to be replaced, hence the name “lifetime” and can only be replaced by the manufacturer. Inogen does not sell this part to it’s dealers. If you need more service assistance, I recommend you contact OxiMedical.com, an authorized dealer that has great service reviews. Yes the O2 sensors on service soon, our problem is we can’t afford the $400.00 to 1300.00 to have it serviced by the dealer, and since the sieve columns are held in place by a star shaped screw, I need the driver bit, is it something I can buy at any hardware store or do I have to go to the dealer to get it if I can get it at all. We most certainly will have to afford the $150.00 for the columns, what I can’t pay is that exorbitant amount to have them popped out and replaced by the dealer. You do not need any special tools to remove the sieve columns. There is a latch next to each column that will release the lock and the columns slide right out. You can see this on page 34 of the manual. If you do not have a manual you can view it online. Iam responding to your message concerning replacing the sieve columns on the InogenOne G3 yourself. It is something I recently had to do and was a lot simpler than it looked in the diagram pictured in both the portable unit’s user manual or the directions enclosed with the new sieve columns. I was able to find pair of new sieve columns for purchase online for around $149.00 at Direct Home Medical. They also sell the inflow filters, which do need to be washed weekly by soaking in a solution of mild soap and then rinsed and dried throughly before being reinstalled. These filters cost only around $29.00, and Direct Home Medical is one of the few places where I have found them. I do recommend that you purchase a pair of these filters in addition to the new sieve columns because not only will you receive free shipping (the minimum purchase for free shipping is $99.00), but also it will mean the you will not have to stop using the portable unit while you wait for the freshly washed intake filters dry completely. Please do take some time to verify the information which I have provided in this message. Unfortunately, I do not have my purchaser’s receipt in front of me for reference and it has been some months since I purchased the sieve columns. In any case, I do wish you the best of luck with your new portable unit and I hope everything works out well for you, Mr. Stiers. Thank you for helping out a fellow commenter. Please note that Direct Home Medical is not an Inogen Authorized Reseller. Purchases from this company pose a risk to the buyer. Any Authorized Reseller would be able to provide the sieve columns and filters. Allison, Thank you very much for your valuable web resource. One correction though DirectHomeMedical MOST DEFINITELY IS an Inogen Authorized Reseller. Inogen only lists Authorized Resellers on their site that purchase a certain number of concentrators a month which is why we are not listed there. (Yes, their site is very misleading on the point but that is the way they do business unfortunately.) All of the products we sell, including those from Inogen, are covered by standard manufacturer’s warranties and by our good business practices. If you’d like to confirm that we are an Inogen Authorized Reseller please contact them directly. Again thank you for writing such great reviews, just please get your facts straight before posting when it comes to direct comments about companies and their reputations. I have an Inogen One G2 that has not been used in several years. My husband passed away. I now want to give it to someone who needs such a device. I tried to charge each of the 2 batteries that I have and they would not charge. I contacted Inogen and they were frankly not very helpful saying that I would need to purchase some sort of a warranty contract and send it to them for service and said they were not able to give me the name of any other service location. I just want to be able to have someone local look at it and let me know if it’s only the battery that needs replaced or if there is a bigger problem. I want to be honest about what I am giving to my friend. I certainly do not want to create any unnecessary hassles for her, nor any unnecessary expenses. Do you know of any local service sites near the Cleveland, Ohio area where I could get a quote on what is needed? Unfortunately, Inogen does not have repair centers around the country; they handle all repairs at their facilities. However, for the purposes of testing your batteries and the oxygen purity of your machine, I have heard that OxiMedical.com has been helpful to people in need. You would have to ship your equipment to them, but I think you would get honest feedback. Re; The Battery’s for the G3.. We all know batteries degrade as they are recharged. The problem is knowing the (real) time left before you board a plane for a long trip. They will show fully charged but may last close to 1/2 the time. Is they a way to get an acuarate time left? Also, i was considering purchasing 2 spares. If i left them uncharged,new in the box, what would be the shelf life? Ive been told that if i buy spare columns, and if not used that they would go bad in about 3 months. Is that true? If the company shipped me 2 columns which are vacummed packed, would they last if i put them in a safe with a humidity dryer? Lots of questions, but you sound like the source for the correct answers. There is no way to know the real time left in a battery apart from using it and testing it personally. So if the 8-hour battery is lasting only 7 hours for you, then you have to track your available time left. Since lithium ion batteries degrade whether used or not, I would not recommend purchasing batteries only to have them sit on a shelf. You are better off using all your batteries in rotation. Or if you only need additional battery time for travel, you may want to consider renting batteries for a trip. Then you get fresh batteries without the expense and maintenance. I have heard that OxiMedical.com will rent batteries. With regard to the sieve columns, my understanding is that as long as they are in the original vacuumed packaging and kept at room temperature, they will last indefinitely. For further confirmation, you may want to contact Inogen directly. Thank you Allison for the response. The issue with the batteries is figuring out the amt. of time and what is required for a long flight. When charging the batteries,they will say fully charged. But that will not mean an 8 hr. battery has 8 hours with of time.. It can get really tricky. And the airlines want you to have 150% of what is needed for your flight inc. stop overs etc.. Trick math,huh? Also, if you push your button and the Inogens electronics don’t function, then what would one do for a back up? Boy scout motto, be prepared. But how. Any suggestions..
To calculate the number of batteries needed for a flight first determine the length of the flight (including layovers if they are too short to recharge batteries) and multiply by 150% or 1.5. For instance a 4 hour flight would require 6 hours of battery time, and a 6 hour flight would require 9 hours of battery time. Once you know the total battery time needed, then determine how long the batteries will last FOR YOU. For instance the Inogen large battery (24-cell for the G2 model or 16-cell for the G3 model) may last only 6 hours when you are using it. In that case, your would have just enough battery time for a 4 hour flight, but a spare would probably give you some peace of mind and may even be required by the airline. For a 6 hour flight you would definitely need a second battery. If your unit failed during the flight, the airline can, should, and most likely would, provide you with emergency oxygen. You suggested renting batteries for a trip. Where can you rent batteries for an InogenOneG3? Also how does the external battery charger work? Do you know how long it would take to recharge a large 16 cell battery using the external charger? I have heard that OxiMedical.com will rent batteries; other online retailers may rent them as well. The external battery charger allows you to charge a battery separately from the Inogen. It plugged directly into an electrical outlet and will charge the battery connected to it. It can take up to 8 hours to recharge a 16-cell battery. I just received columns from the company where I bought my Inogen to replace columns (I got the message o2 service soon) that were within the year warranty (which means I did not have to pay) and they did not arrive in any vacuumed packaging. Should I be concerned. Are they perhaps used? Should all columns come in vacuum packaging? For clarification, the entire column does not have to be sealed. There is a plastic covering that needs to be removed prior to installing new columns. This covering is the seal I was referring to and if your columns did not have this covering then there is cause for concern. I am very new to the medical oxygen life but quickly see that a POC is necessary unless I want to be a prisoner in my home. I have a large a/c concentrator for home and 2 tanks for “emergency” use that last 2.5 hours that are replace only once a month. Just going to the doctors office will use the tank up..
Are POCs covered by Medicare & supplemental insurance? I am interested in the Inogen One G3 or G2 but have no idea which would be the better choice. I have a 18 hour train trip planed very soon. I also have a trip to Italy in June. With connections Flight will be 12.5 hours. Can I use an electrical converter to charge batteries while in Italy? Also how long does it take to recharge a battery? If your doctor has prescribed oxygen 24 hours/day, your homecare company should be providing you with home oxygen and portable oxygen. Your portable oxygen should not be “emergency” only use, rather it should be sufficient for you to have an active life. I recommend contacting your homecare company about getting more oxygen cylinders, or a homefill system so you can fill them yourself. Medicare will not pay more money for more or better equipment. They pay the same amount for a POC as they would for tanks. Thus the homecare companies usually cannot afford to give you a POC for your Medicare benefit. Most people have to purchase their own POC. The Inogen One G2 and G3 are both good units, with the G2 being larger and providing up to setting 6 pulse, while the G3 is smaller and provides up to setting 4 pulse. Your oxygen and portability needs will dictate which is best for your. Since airlines require 150% of flight time in battery power, you will need 19 hours of battery time. With the Inogen units, this could be fulfilled with two large and one small battery, or three large batteries. If you travel frequently it would be best to buy the three batteries; however, if you do not plan to travel after your trip to Italy then you may want to purchase one or two batteries and rent the extra batteries for your trip. All POCs work on 220 power in Europe so you do not need a converter; you only need a prong adapter to allow the plug to fit into the outlets in Italy. The batteries take 4-8 hours to recharge. I have the InogenOne G2 and would recommend buying the back pack. It’s a lot easier to tote around. How long is the warranty on the smaller battery. I received one that will not hold a charge. I have two other smaller batteries which holds a great charge. Recently I flew from Spokane to Germany non-stop and only had to use one of the large batteries over the entire flight of 11 hours on setting one. I was surprised. Inogen batteries have a 1 year manufacturer warranty. I live in the USA and want to buy a G2 or G3 for my dad who lives in a remote area in South Africa. Are there any spare/replacement parts that would be recommended to buy upfront ? I doubt that there are any service / repair facilities anywhere near where my dad lives. I would recommend purchasing additional particle filters; there are 2 on each unit and they are sold in a pair of two. The G3 unit will also require sieve column replacement every 18 to 24 months. However, the unit will give a 30-day warning when these need to be replaced. Hi Allison! Just curious to know if you can sleep with the G3, I know it is mainly for when awake, but if I brought it to travel with could I use it to sleep at night as well? The Inogen One G3 provides a pulse flow only. If you use a CPAP or Bi-PAP machine with oxygen, the G3 is not compatible and cannot be used. If you are using only oxygen then it would depend on how well you breathe through your nose while sleeping. Many people breathe very shallow or through their mouth while sleeping and do not trigger the pulse. It is best to be advised by your doctor, who may perform a sleep study to see how much oxygen you receive while sleeping. We are Australian company who’s sole distributor for Inogen in Aus and Nz ( Independent Living Specialists http://www.inogen.com/inogen-worldwide-distributors/). We like to have guest post in your site. Please let us know how we can proceed? Thank you for your interest; however, my blog is not open to guest posts at this time. I will certainly keep you in mind should I decide to accept guest posts in the future. Hi, we got the O2 Service Soon message after having the Inogen One G3 for only 4 months. We use it for travel and some trips around town. We haven’t been using it a lot since we were trying to avoid having to replace the columns earlier than the 18 months to 2 years that the manual says the columns should last (we have other oxygen service at home). When I talked with the store where we purchased the unit, after consultation with their service person, I was told that unless the G3 is used regularly, like at least once a week, that the columns will require replacement earlier than the manual indicates. We live in Colorado so humidity shouldn’t be a factor. I couldn’t find anything in the manual that indicated that non-use would shorten the column life. Is this real, or did I get a unit that had columns that were almost worn out anyway? Any idea about that? Thanks. 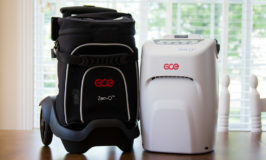 A portable oxygen concentrator should be used at least several hours each month. It is like a car – you don’t leave it sitting in the garage without being turned on. The sieve material will settle if the unit is not used regularly – weekly is optimal. That being said, the sieve columns should not fail after only 4 months. Fortunately, they are under warranty for 1 year, so your supplier can submit a warranty request to have them replaced at no cost to you. I have an Inogen One G3 that was sent back for service this past May due to the “low O2” reading. It is now September and I’m getting the same error message again. I live in Pennsylvania so I know it has nothing to do with the humidity. When I got the error message in May I continued to run the unit for some time before I sent it in for repair, however, this time I got a message that the unit needs to be serviced right away. Having to have this unit serviced twice in less than six months is unacceptable. I can’t continue to incur all of these shipping charges. First, thank you for your time and heart putting all of this information together to benefit others! I am in the process of researching different POC’s for my mom. I’m having a hard time picking between the Activox 4L or Pro and the Inogen G3. They look very similar in price, weight and function. But which one is easier to maintain, get extra filters, sieve and service? My mom is on daily pulsed O2 at 1.5-2L. She needs something light that’s able to fly. She only has tanks now. Also, would you recommend buying a POC from a local medical supplier over the online distributors? While the Inogen One G3 and the Activox 4L both provide up to setting 4, the Inogen provides more oxygen per breath (21 mL per breath compared to 15 mL per breath at 20 breaths per minute). Also, Inogen products seem to be more reliable than the Activox products and service time is much faster with Inogen compared to Inova Labs. Finally, Inogen One G3 sieves are easy to replace on your own, while the Activox sieves require replacement by the manufacturer. Buying locally provides more immediate contact when service is needed, but local is not always better. I think you’ll find my article on choosing your dealer helpful. I forgot one more question…. Does the Inogen have a separate charging station/port, or do the batteries have to charge connected to the unit? Yes, the Inogen has an optional desktop battery charger. I am getting a 4b error code on my g3 concentrator….does anyone know what it means and how it fix it. It shuts down when the error pops up. Error 4B is LOW FLOW. This means there is a low flow of oxygen coming from the sieve columns. If you have not changed the sieve columns in the last year, then this would be your first step. If this does not correct the error, or if you have changed the columns more recently, then the unit has an internal problem and would have to be sent to the factory for repair. Does this also apply to the G2? Yes, it does. However, the sieve columns cannot be changed by the end user so the unit would have to be sent to the factory for repair. In part through your advice I bought a G2 a couple months ago. I travel frequently, sometimes by air, and I train and trial working sheepdogs. I have COPD and while trialing sheepdogs isn’t running a marathon, it is very active in short intense bursts. Don’t need oxygen sitting around. I flew to Seattle (2)- no problem on the plane but Atlanta Hartfield goes on FOREVER. On pulse rate 4 I managed an eleven minute trial but afterwards could barely get off the field. Next trail I’m upping it to 5 and if that isn’t enough I’ll bump it to six. Wouldn’t want to try it with tanks and, who knows, the technology may get even better/lighter before I go to that big dog kennel in the sky. I have recently purchased the Inogen One G3 for use as a traveling supplement to my home service. Even though I find it relatively lightweight, if I am walking long distances and/or carrying extra batteries & cords, I find everything too heavy to carry. The manufacturer tells me there is not an available cart for the G3 and it is not acceptable to put it in a rolling tote or briefcase because of the necessity for open air flow. Has anyone found a satisfactory solution to this problem? The cart that is made by Invacare for the XPO2 POC works very well with the Inogen One G3 and other small POCs. My dad is supposed to have his set at level 3 but it keeps turning off. He is only able to keep it running at a level 2. Any advice? I recommend cleaning the filters and replacing the cannula. If the unit is still having problems then it probably needs to be repaired by the manufacturer. I recommend contacting your provider to set up a repair order. Hello I have a question. My son requires 2 liters of oxygen. Continuous. Would any of the products work for us? These Inogen units would not work because they are pulse only. 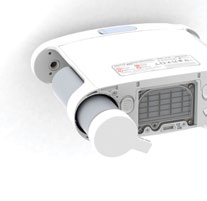 The smallest and lightest unit available that provides 2 LPM continuous is the Respironics SimplyGo. I am waiting for a call back from Inogen. My Inogen G3 beeped with a message that said service needed Error 16a. What does this mean? It will still charge the battery but I don’t get any oxygen thru the cannula. Seems like when I am out of town with this unit and depend on it for all my oxygen something goes wrong. Thanks for your answer as it takes forever for them to return your calls! I believe that error 16A indicates a software issue, in which case the unit would have to be sent in for service. If you obtained your unit from Inogen then you will have to wait to hear from them. If you obtained it from an authorized dealer then you would need to contact them for the repair authorization number. Thank you for your answer. Also, will they ship me another unit to use while this one is being repaired? That depends on which company is providing you service. If it is Inogen, they may simply send a used replacement unit. Authorized dealers have varying policies ranging from replacement to free loaner, to paid rental. I’ve been using an inogene G3 unit for 2 yrs now and already up to my 5th or 6th replacement. Most of them due to low oxygen message. Inogene has replaced all my units so far due to lifetime warranty. The one I have now says cannot detect canulla and oxygen not coming out the way it should. Do you think I damaged the unit by putting it inside a closed wheelie backpack? I didn’t know I wasn’t supposed to do that? Can put the unit into a backpack but keep the zipper open? It sounds at if there is something wrong with the sensor. While the unit should not be put in any case that does not allow for proper air flow while in use, I do not think that you doing so caused the issue you are experiencing. Even with the zipper open, your unit is probably not getting enough air circulation in your backpack to run properly. I recommend getting a cart that can carry the unit in its own bag or a mesh backpack. Hi I am my 79 year old mothers caregiver and she currently has a big continuous flow concentrator she uses at home on 3L. When we go out to Dr.s she uses a on demand flow and is fine with it she has COPD along with congestive heart failure. A=fib. Metistatic Melanoma and several other issues anyway I am very concerned because with the oxygen set up at home has tubing running all over and she uses a walker which compounds the problem even further. She gets tangled in the tubing and has had some bad falls. Luckily hasnt broken anything yet. But if I cant come up with some other alternative to the tubing I feel its only a matter of time. Unfortunately she refuses to go to a pulmonary Dr. When I saw the small lightweight Inogen product I thought maybe this would be the answer she does have Humana/Medicare she is on a fixed income so really cant afford to buy a unit. So I really dont know how to proceed or if it would be possible.Do you know of any companies in the Arvada/Westminster CO area that I could even contact? I dont know where to even start. Or if there is another solution?? Any advice or suggestions would be so appreciated. The only other thing I can think of is using portable bottles which are very heavy for her to carry around. Please I am very concerned she will her herself. Thank You and God Bless! The problem your mother is having with the tubing is not uncommon, although there are no easy solutions. A portable unit like the Inogen may be ideal for her; unfortunately, most homecare providers do not carry the Inogen, nor can many afford to give a portable concentrator to a Medicare patient due to low Medicare reimbursement for oxygen. Most people have to pay out-of-pocket to get a POC. You can search yellowpages.com for a listing of home medical equipment providers in your area and ask what equipment they provide under Medicare. You can also contact Inogen directly and see if they are a Medicare provider in that area. Keep in mind that Medicare benefit for oxygen are on a 5-year cycle and most providers will only accept new patients within the first few months of the billing cycle. Have you had a chance to review the new 2016 MODEL INOGEN G3 -1 TO 5 ENHANCED ? I am particularly interested in the decibel levels. This is a great service you provide . Thank you. The purging sound is quieter on the new enhanced Inogen One G3 compared to the original model. Apart from the actual decibel measure, sound is subjective to the user’s personal hearing and noise preferences. Because of this, I would recommend purchasing a unit from a company that offers a risk-free trial in the event that you find the new model does not meet your personal needs. Tubing suggestion: Put hooks (such as kitchen cup hooks) in the walls above doorways, etc and string the tubing at that level. That way there will be much less tubing on the ground. Of course, when moving from one room to another, you have to move the tubing. My husband has been doing this successfully for years and I’m sure it has saved me from tripping over it and falling down the stairs. I have not done a formal review of the Activox 4L; however, I have heard from dealers that the reliability of the unit is not as high as it is for the Inogen One G3 or the SimplyGo Mini. My stepfather purchased an Inogen G2 around three years ago then passed in a year or so. I am COPD and he passed the unit to me. I had my pulmonary physician test me overnight using the machine to verify that it would satisfy my condition which it did nicely. I have used the machine for travel primarily and it has served me well. Recently a warning appeared and following directions online I found oxygen purity was low requiring the sieve columns replacement. I called Inogen and was informed that service can only be sold to the original purchaser. According to what I have read online this repair should be in the neighborhood of $400. I cannot afford a new unit and consider this policy by Inogen predatory. Do you know if the G2 and the G3 will work on the highest settings when plugged into the car charger? I saw a post about the MiniGo that said it wouldn’t work on 4 or 5. My mom likes to take car trips with my dad, and they live at about 5300 ft. above sea level. Sometimes their trips take them as high as 9500 ft. above sea level. When she uses her bottled O2 at those altitudes she generally turns the setting on the bottle regulator to 5 (as high as it goes). She also wants to start taking airplane trips again. Is either the G2 or the G3 approved by the FAA yet? Thanks for your help,and many many thanks for this site! I have not heard of any issues with either the G2 or the G3 being used on the highest flow settings in a car. And both units are FAA approved! I heard Oxygo was made by Inogen. Do you know anything about Oxygo? Yes, the OxyGo is the Inogen One that has been privately labeled for a reselling company. My dad currently users the Nuvo oxygen concentrator at home, he lives in an area that experiences allot of power outages we are looking to get him something to use when there is no power and also use it to leave the house for doctor visits and short visits to family. We looking at getting him the Inogen One G2 and would like to know if the Inogen One G2 will only work with my dads breathing? as the portable Nuvo unit only supplies oxygen based on the patients breathing so if the patients breathing is irregular the portable will not supply sufficient oxygen. Is the Inogen One G2 the same? 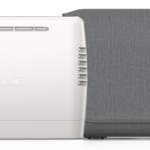 The Nuvo is a home oxygen concentrator so it supplies continuous flow oxygen, which you correctly indicate is not dependent on the user’s inhalation. On the other hand, the Inogen One G2 is a pulse only unit and does require the user to inhale in order to trigger output of oxygen. If you dad’s breathing is irregular, the G2 or any other pulse POC, would not be the best option for him. Instead, you may want to consider a POC that provides a continuous flow option such as the SeQual Eclipse 5, SeQual eQuinox, Philips SimplyGo, or Oxlife Independence. Thank you for your feedback Allison. We live in South Africa and I cannot find any places in South Africa that supplies any of the POCs you mentioned with exception of the Oxlife Independence, however from the reviews I read on the Oxlife Independence most people complain about the loud noise. And the battery life on continuous flow only lasts for 2 hours. When we have power outages they normally last for 4 hours. I would love to read your take on the noise level and battery life of the Oxlife Independence. Also what do you know about LoveGo G2 POC? The Oxlife is 40 dBA at setting 2 pulse. This is a typical noise level for a POC. Also, the unit includes 2 batteries and per the manufacturer specifications, they last 2.5 hours combined on 2 LPM continuous. Again, this is typical for POCs on continuous flow and you can expect to have to purchase additional batteries for your needs. I have never heard of the LoveGo POC and would not be able to provide any information about this brand since I am only familiar with products made by U.S. companies. I just replaced the sieve columns on my Inogen G3, but I turned it on before deleting the “service O2” message on the screen. Is this harmful to the unit? No, it is not harmful. Simply reset the unit as soon as possible. How do you reset the unit after replacing the sieve columns? You can find the instructions in your owners manual. Follow the instructions for Columns Change Procedure, removing your columns and reinserting them as instructed. On a InogenOneG3. Does the O2 service soon warning stay on or does it come and go? How soon after the warning should the sieve be replaced? It will come and go. Inogen instructs you in the manual to replace the columns within 30 days. I am not sure what you mean by functionality. Is there a particular function you are looking for? The Inogen One G4 has the same features as the G3: it is pulse flow only, offers a single or double battery, similar panel display, etc. Its greatest benefit is its size and weight. It only provides 3 settings because higher settings require a larger motor and sieve, more power, longer battery requirements – all which would necessitate a larger and heavier machine – a G3! The G4 on setting 3 provides the same amount of oxygen as the G3 on setting 3 – 630 mL maximum per minute. If you never need higher than a setting 3 on your G3, then I see no reason the G4 would work for you. Of course, it is always best to purchase from a dealer that has a trial period and without high restocking fees. hi! My grandmother uses 2.5 lts per min. We recently bought the Inogen one G2 and it does not provide enough oxygen for her. When testing her levels whent down gradually instead of maintainig or going up. Is this because of the machine malfunctioning or her needs require a bigger unit? If your grandmother normally only uses continuous flow, she may need to use a higher setting on the Inogen One G2 since it is a pulse flow. The Inogen One G2 provides up to setting 6, which should provide more than enough oxygen. If it does not, then I suspect she is a mouth breather and isn’t getting enough oxygen through the pulse-flow delivery. If so, then she would need a unit that provides continuous flow, such as the Philips SimplyGo, SeQual eQuinox or SeQual Eclipse 5. If your grandmother normally uses pulse flow at that setting, and bumping the G2 up a little does not help, then I would suspect a malfunction with the unit. Will a pulse poc work for sleeping over night? I need a poc for sleeping over night. I sleep using continuous now at 2. We breathe slower and lighter during sleep so pulse poc may not work? For the exact reasons you mention – slower and more shallow breathing – pulse flow does not work for most people and is usually not recommended by doctors. The only way you will know if it works for you is to try it under the direction of your doctor who may request a sleep study. Are you knowledgable as to which manufacturer produces the standard overnite continuous only concentrator that gives off the LEAST amount of heat. In Florida this heat in a small residence can become stifling. Thank you. Manufacturers do not provide measurements for heat; however, the Inogen At Home uses the least amount of electrical power to operate so it most likely gives off the least amount of heat. How do I tell how many hours my Inogen G3 has been used?? You can find out the number of hours by pressing and holding the bell symbol button down for 5 seconds. The display will change to show the software version on the top line and the usage on the bottom line. The bottom line will give the hours and minutes used, separated by a semi-colon. Hi, I was asked at the airport if the battery in my Inogen One G3 was liquid or dry? I did not know what to say. That is an odd question for them to ask. All POC batteries are lithium-ion batteries like a battery used in a cell phone or laptop computer and they are dry-cell batteries. I was able to get the G2 model for my father and it worked great for him . He used it for about a year. Unfortunately, after he passed this company has harrassed us ( I am his son ) for over a year to recover his last bill . They sent it to collections and harrassed me quite a lot . They act like stinking cockroaches with no respect for the dead. Just be prepared for this if you use this service. When you say “this company”, do you mean Inogen? I Have Lung Fibrosis and i am on Oxygen from 2LPM to 3LPM only when i walk or doing a bit of activity work, can you please tell me what is the price of the Inogen G 3 unit, i am 72 and on old age pension thank you. I only provide information about oxygen concentrators; I do not sell them, so I am unable to provide pricing. The base MSRP is $2,495; however, you can probably get a better deal if you call an authorized Inogen retailer. I am currently on full flow oxygen at all times. 4-5 liters when resting, 6+ when active, & 2 when sleeping. I know the Inogen One G2 now says it goes to 6 liters, but would you recommend it for someone who needs such high liters? If you are referring to continuous flow when you say “full flow” then the Inogen One G2 will not work for you because it is a pulse flow only unit. Unfortunately, there are no units available that will provide continuous flow above 3 LPM. Your best option may be a 3 LPM unit, such as the SeQual Eclipse, with an Oxymizer Pendant cannula which would boost the oxygen level up to 4 1/2. If you can use a pulse flow, then the Inogen One G2 may work for you, though you may easily out-breathe the machine. Another option is the GCE Zen-O which is just a little larger and heavier. It also provides up the pulse setting 6, but it has a higher oxygen capacity (2000 mL vs. 1260 mL on the Inogen One G2). This means the Zen-O will be able to keep up with faster breath rates at the higher settings.